MANP’s Nonprofit Leadership Institute provides executive directors of all experience levels with dedicated time and space to reflect, set goals, and develop action plans to not only strengthen their leadership, but to catalyze cultures of learning and shared leadership within their organizations. plan for an ongoing learning strategy beyond the Institute. This program empowers participants to shape and guide adaptable, effective organizations that are respected partners in creating, sustaining, and improving Maine’s quality of life. For more info, read the 2019 Leadership Institute Overview. 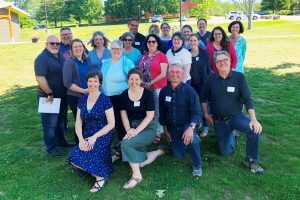 The 2019 Leadership Institute will take place June 4-7 at Unity College in Unity, Maine. Attendance at all four days is required. The curriculum includes evening activities. Apply Now. Participants are encouraged to review the application questions and prepare responses in advance of completing the online application, which must be done in one sitting. Note: You will need to log in to your personal MANP account to complete the application (click here for screenshot). If you do not have a MANP online account, you can easily create one – you do not need to be a member. For assistance, contact us at 207-871-1885 or at Learn@NonprofitMaine.org. Check out this overview of the 2019 Leadership Institute program, including a preliminary schedule and information about the required pre-work. Jennifer Hutchins became the Executive Director of the Maine Association of Nonprofits in July 2016. Prior to joining MANP, Jennifer was Executive Director of Creative Portland, where she led the City of Portland’s efforts to strengthen the creative economy. Along with Professors Richard Barringer and Charlie Colgan, she was a co-author on the seminal 2004 report on Maine’s Creative Economy conducted for Governor Jon Baldacci. 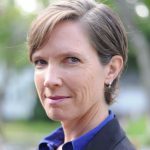 Jennifer also served as Director of Communications and External Affairs at the USM Muskie School of Public Service for nine years and Marketing Director at Portland Stage Company from 1995-2000. She holds a Master’s in public policy and management from the USM Muskie School and lives in Portland with her husband and two daughters. 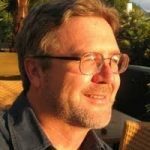 Bob Wright is an organization development consultant, leadership coach and master facilitator committed to helping organizations clarify and realize their missions, and to encouraging employees to bring more of who they are to what they do. In his role as a principal with the Maine-based Panta Rei Consulting, Bob actively serves clients throughout the U.S. and around the globe. Bob has designed and implemented leadership development and organizational planning initiatives throughout North America, Asia, Europe and Africa. He also works with state and local governments, corporations, schools and nonprofit organizations on quality management, work systems redesign, strategic and business planning, and community-building efforts. Among his clients are 3M, Boston College, Bose Corporation, Central Vermont Community Action, Child, Inc., Children and Families First, Christiana Care Health Services, Daimler AG, the Delaware Healthcare Commission, The Economic Commission for Africa, the National Forest Service, the National Institutes of Health, Nemours Health and Prevention Services, the Peace Corps, the Smithsonian Institution, the Student Conservation Association, the United Nations, and the YMCA. Bob holds a Master’s degree in Management from the School for International Training, with a concentration on organization behavior, and a Bachelor’s degree in Anthropology and Intercultural Communication. He is trained in systems thinking, experiential education, action learning, the use of numerous psychometric assessments, conflict mediation, visual systems facilitation, and in Gestalt psychology. He holds a Professional Certified Coach (PCC) credential from the International Coaching Federation. His other interests include poetry, woodworking and sailing. This program was made possible by the generous support of The Betterment Fund and the Maine Community Foundation, and was designed in partnership with Panta Rei Consulting.